GameStop’s Pro Days sale is returning this weekend with discounts on games, accessories, and collectibles live for a few days only. 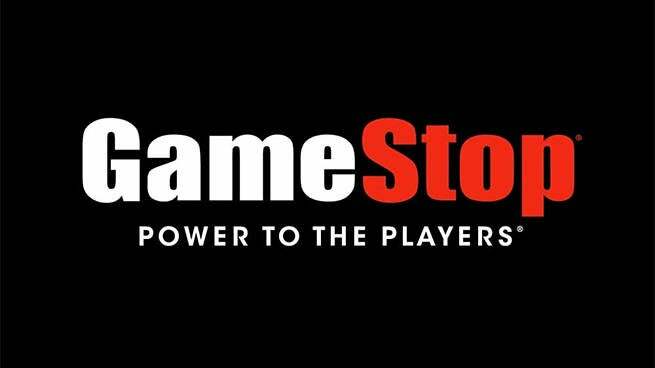 Sharing an extensive list of deals on the retailer’s site, GameStop previewed some of the best discounts and offers that’ll take place from November 9-11. Games like Call of Duty: WWII, God of War, and Star Wars Battlefront II are marked down by upwards of 60 percent with headsets and controllers also included in the products on sale. Consoles are also among the deals, though the latest devices like the Xbox One X, PlayStation 4 Pro, and Nintendo Switch don’t seem to be discounted themselves in this Pro Days sale. There are deals that incorporate new consoles though such as an offer that lets people save $20 on a 12-month PlayStation Plus membership if they buy a new PlayStation 4 console, though. People with some consoles and games to spare can get extra trade-in credit towards a new PlayStation 4 or Xbox One console, however, with the credit amount changing depending on what you’re trading in. The Nintendo Switch isn’t part of the trade-in deals, but you can take as much as $250 off a new Xbox One or PlayStation 4 if you’re looking to get a new bundle or swap over to the other platform. “Save even more when you trade toward a new Xbox One or PS4: $250 with trade of Xbox One X or PS4 Pro, $200 with trade of Xbox One S, or PS4 Slim or PS4 Original, $150 with trade of Xbox One Original,” GameStop’s trade-in console deal said. For those in the market only for games during the sale, GameStop’s press release highlighted some of the best game deals to look out for, that list found below. 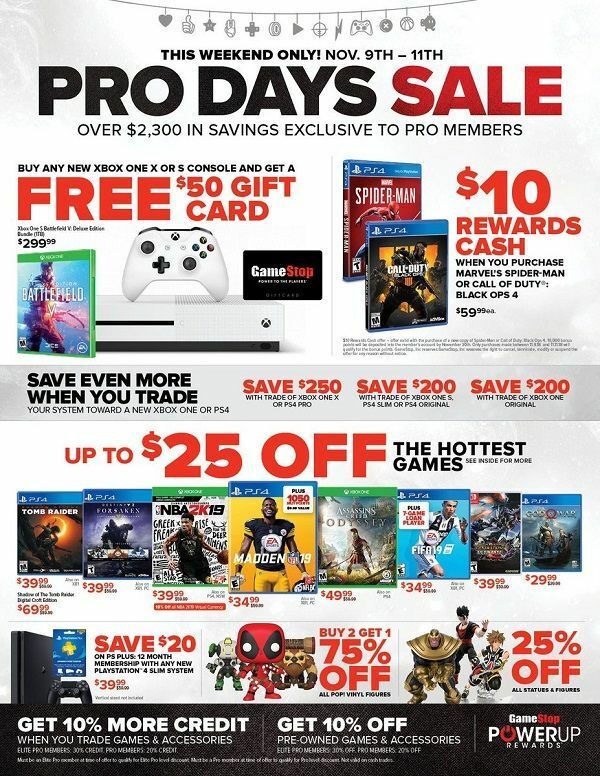 GameStop’s Pro Days sale is scheduled to be live from November 9-11, and the full list of deals can be found here.